Google adds activity stream which will show the latest changes and activities for shared files and folders in Drive. This will basically show on the right of your screens a list of activities of different collaborators. The new Drive activity stream list will include last changes made - when a file/document was last updated and who modified it, a file movement - when someone move a specific file and folder or changes the structure of existing folders and subfolders. 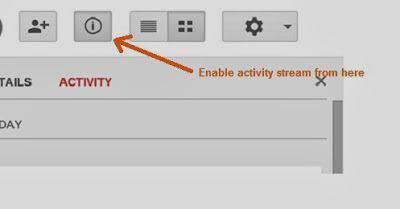 The activity stream will show up after clicking a small button on the top right corner of your Drive and then the activity feed (list of all events) will show up on the right with more information who did the modification and when the event happened. 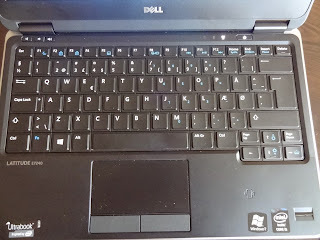 This is definitely a very useful feature especially for larger companies who want to monitor the wide variety of changes which happen in shared Drive folders. Google Drive is becoming the most popular cloud service in world so updates like this one are definitely a big step forward against the competition. It will also show complaining customers that Drive is going on the right track and many useful updates are to come in the near future. The new Drive activity stream is now only available in its rapid release version so only customers who have enabled this in their profiles will be able to take advantage of it. 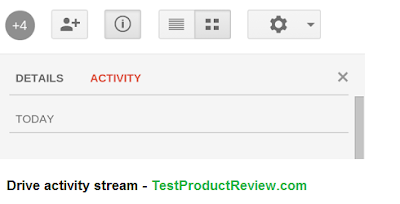 For the rest of the Drive users the activity list probably will be available in about a month or so. For more Google updates and changes please check back with us later when we will add some new guides and tutorials about different functions in Drive. You can also find more information about the latest Google updates in the official Google Drive blog. And if are interested on what happens with Google search these days please check the latest Google search updates. The new activity stream is extremely useful feature for Drive users like ourselves. It will save a lot of time spent in researching who did what with specific file, document and folder and will improve the whole Drive experience in general, well done Google.